Bryan Singer’s X-Men: Days of Future Past has been creative in its marketing leading up to the film’s May release. There have been Twitter updates, Vine videos, and a day-long magazine cover reveal (that felt like it took forever). 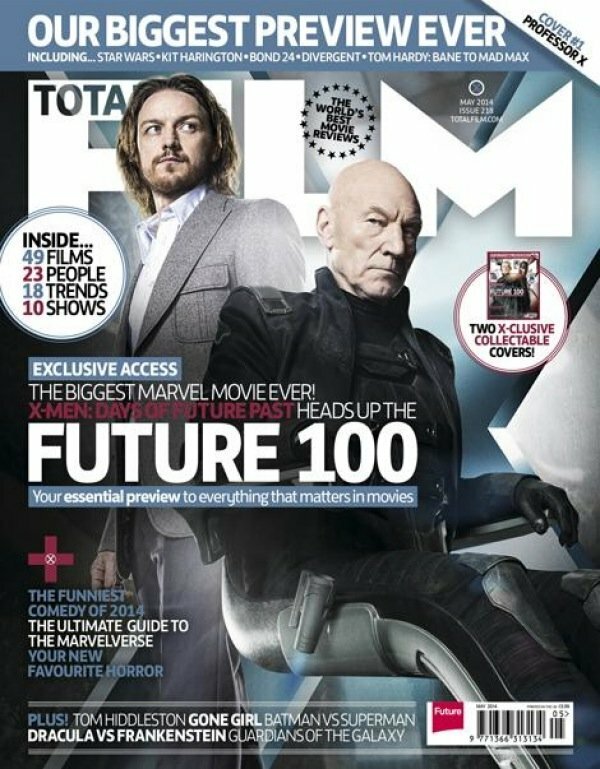 Now Total Film is getting in on the act, offering dual Days covers centered on old/young Charles Xavier, and old/young Magneto. Check them out! But that’s just the beginning. The mag also boasted eight exclusive images from Singer’s movie, giving us even MORE looks at the upcoming prequel/sequel. They aren’t the best quality – and I’m fairly certain I’ve seen almost all of them before – so just give that link a click if you want to see them. We’re way more interested in the next steps Singer is planning after Days, because the future of the X-Men franchise couldn’t sound more intriguing. The director is moving pieces around the X-Men chess board in preparation for 2016’s Apocalypse, and revealed a few fascinating details about the prequel/sequel. It’s so hard to properly label these movies because, after First Class, there’s an odd timeline on which these movies have to fall. Matthew Vaughn’s movie took place in the 1960s. Chunks of Future Past will be in the 1970s. And now Singer confirms that Apocalypse will take place in the ‘80s. 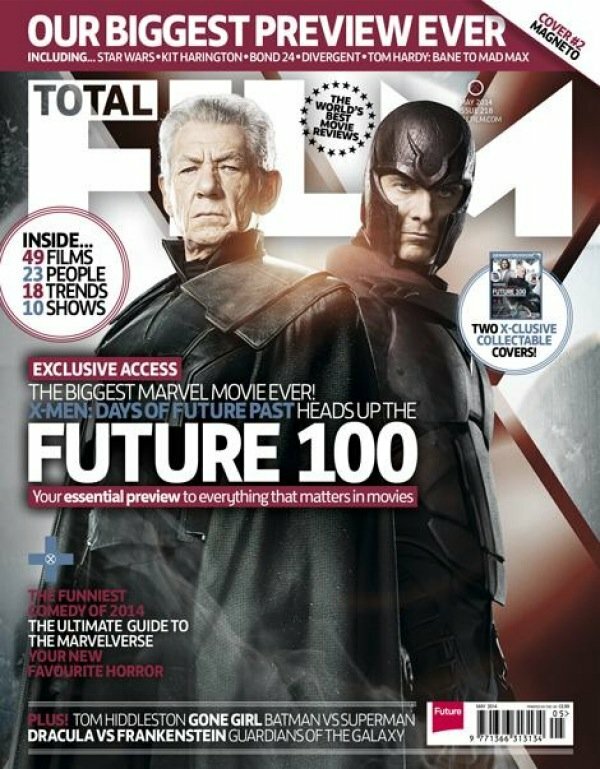 "The '80s is a period now - it's hard for me to believe that," Singer told Total Film (via Comic Book Movie). "Apocalypse will have more of the mass destruction that X-Men films, to date, have not relied upon. There’s definitely now a character and a story that allow room for that kind of spectacle. … We’re currently breaking the story. We’re almost ready to go. Dan Harris, Michael Dougherty and Simon Kinberg are in the office across the street from me, working on story stuff right now. It’s great to have Dan and Michael back." Well, Magneto did relocate the Golden Gate Bridge in The Last Stand, but Singer’s right. The X-Men franchise hasn’t endured the Man of Steel-level city-wide destruction that audiences crave these days. Introducing the character of Apocalypse sounds like it’s going to create pure hell for the X-Men heroes. And there might be some familiar heroes back in play. Singer teased that, because of the timeline, he might be allowed to bring new/old characters back. Like Phoenix and Cyclops? I don’t want to get too specific, but we’ll introduce familiar characters in a younger time. That’ll be fun to show the audience. I call these movies in-between-quels. It’s a mind-[frick] sometimes in terms of where things fall in the timeline!" So, the X-Men series is in Singer’s hands, and he’s thinking big. Future Past opens on May 23. Apocalypse follows up on May 26, 2016.